New Americans with Disability Act standards were adopted by the Department of Justice in September 2010 and took effect March 15, 2012, replacing the original ADA standards. 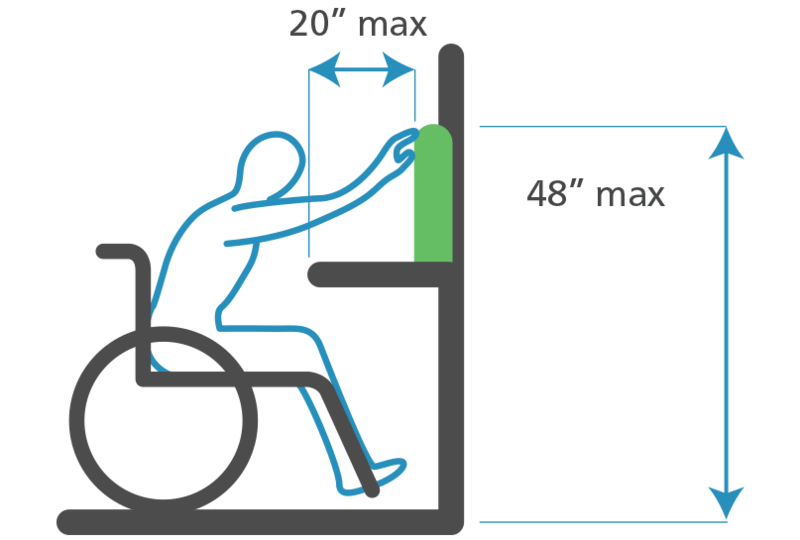 The revised standards help create buildings and facilities that are accessible to more than 54 million Americans with disabilities. The ADA requires that all new construction of places of public accommodation and commercial facilities be accessible. 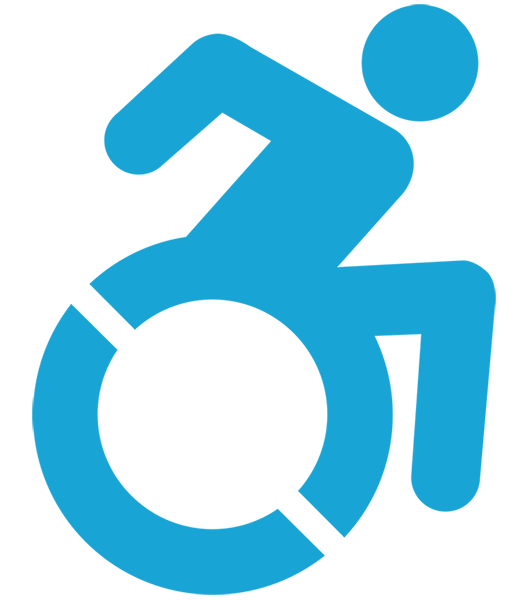 These include a wide range of entities, such as office buildings, restaurants, hotels, theaters, doctors' offices, pharmacies, retail stores, museums, libraries, parks, private schools, and daycare centers. 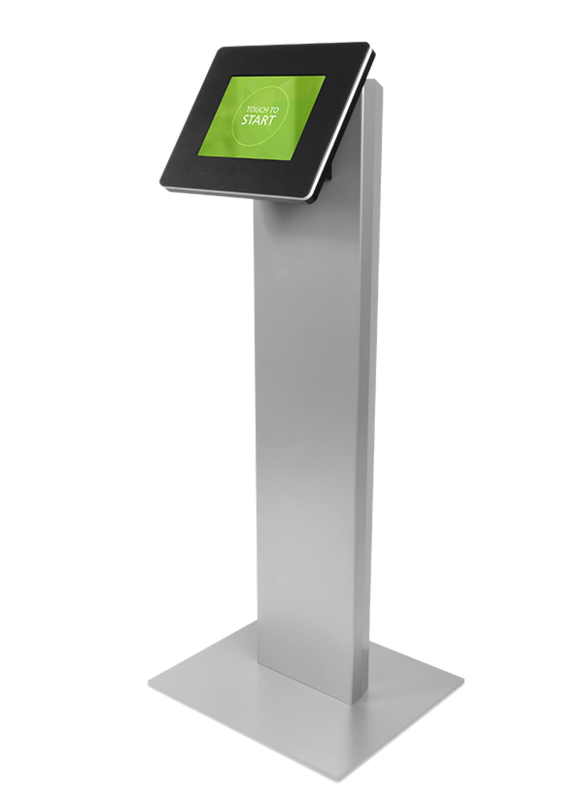 If a kiosk can be accessed via a forward reach and is unobstructed, the highest touch point is 48 inches and the minimum height is 15 inches. If there is an obstruction in front of a kiosk (like a countertop) and the depth of the obstruction is 20 inches or less, the highest touch point is 48 inches. The floor must be clear underneath the obstruction at an equal or greater depth. If the obstruction exceeds 20 inches, the highest touch point is 44 inches and the maximum depth of the obstruction is 25 inches. The floor must be clear underneath the obstruction at an equal or greater depth. If a kiosk is only accessible via a parallel approach and the side reach is unobstructed, the highest touch point is 48 inches and the minimum height is 15 inches. If there is an obstruction (like a countertop) in front of a kiosk and the obstruction depth is 10 inches or less, the maximum height of the obstruction is 34 inches and the highest touch point is 48 inches. If the obstruction depth exceeds 10 inches, the maximum depth of the obstruction is 24 inches, the maximum height of the obstruction is 34 inches and the highest touch point is 46 inches. 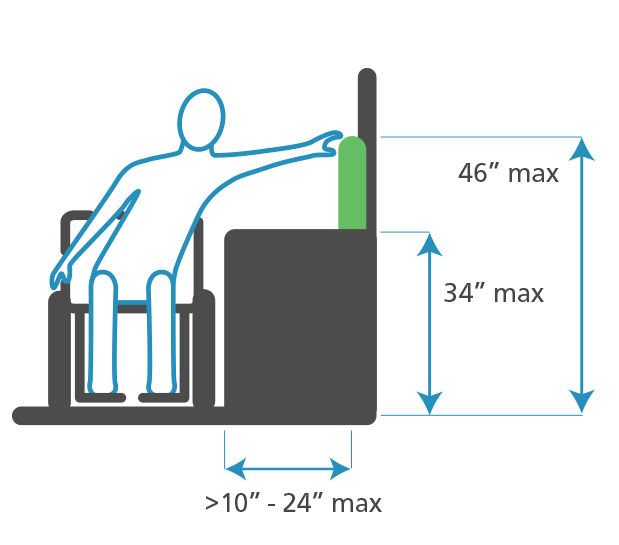 If your kiosk has peripherals (a printer, for example), the lowest allowable height of the peripheral is 15 inches. 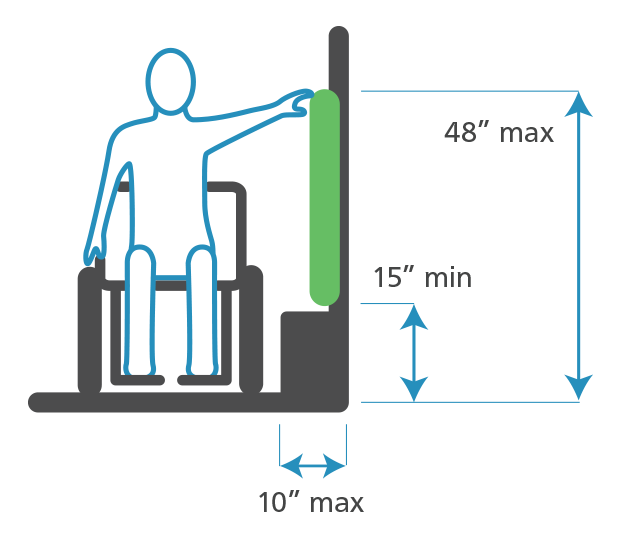 If your kiosk is wall-mounted and has nothing below it to alert someone with visual impairments navigating with a cane to its presence, it can have a maximum depth of 4 inches from the wall, a minimum height of 27 inches and a maximum height of 80 inches. It is the responsibility of the kiosk owner to provide adequate floor space around the kiosk to accommodate wheelchair users. 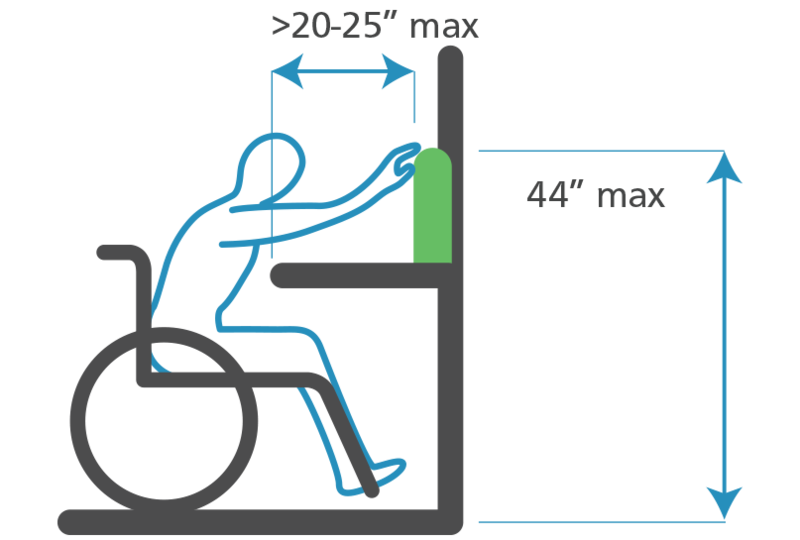 Floor space requirements are outlined in their own section of the ADA website. 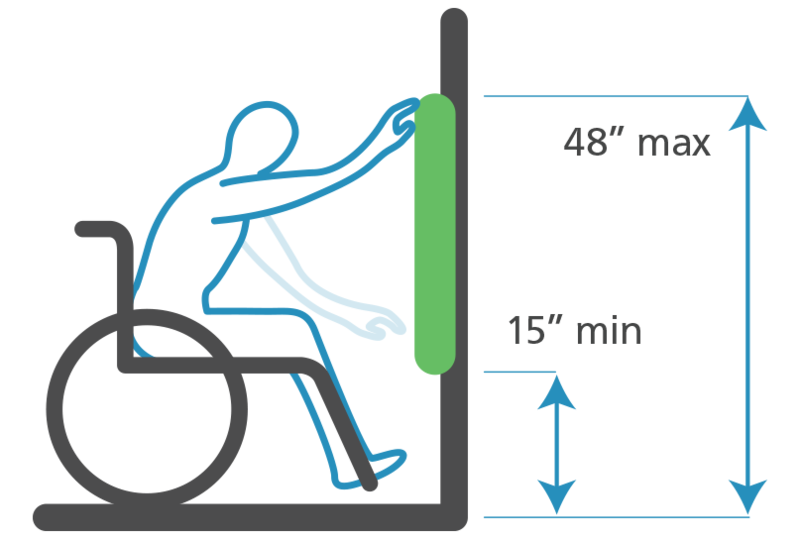 To learn more about the ADA Standards for Accessible Design, visit http://ada.gov. 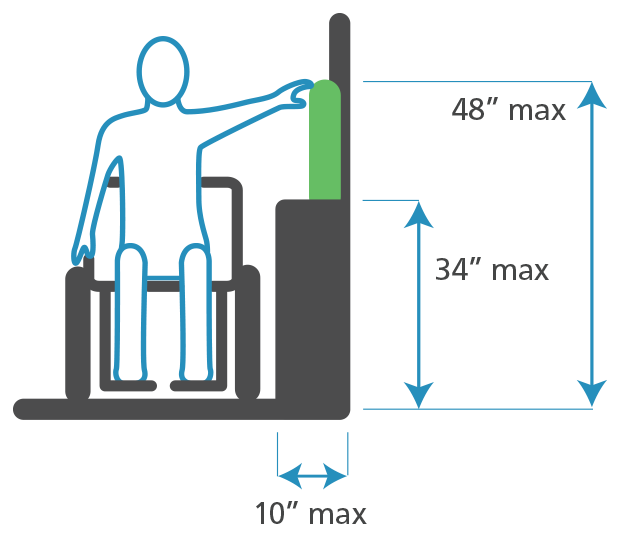 The complete ADA standards are also available as a printable PDF. 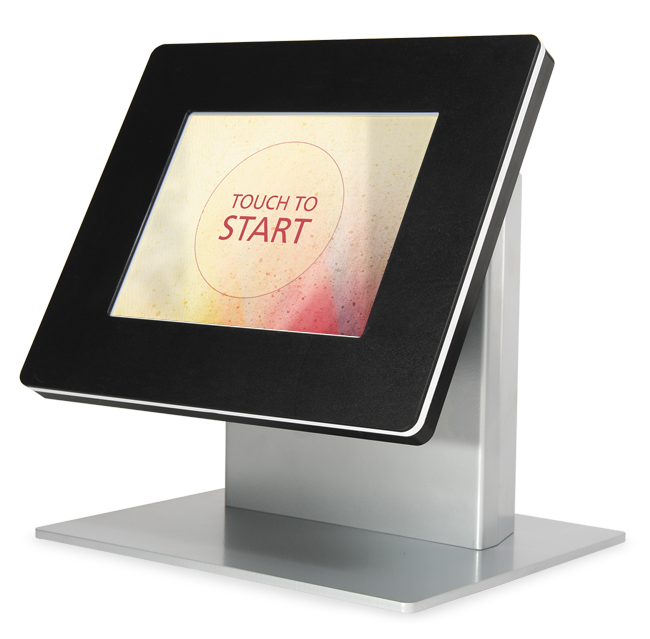 If you are looking for an accessible kiosk enclosure, we can help! When correctly deployed, all of our kiosks are ADA-compliant. We create kiosk enclosures for iOS, Android, and Microsoft tablets, which are sold through iPadKiosks.com.